The heritage of Kolkata tags it as a historical city, while skyscrapers and swanky malls lend it a futuristic vibe. In between these different façades lies a pulsating metropolis that attracts young couples and provides them with places to cherish some romantic moments together. If you are in Kolkata and want to steal a few moments with your special person, then you won’t be short of options. Adorned with an old-world charm and bustling with a cosmopolitan culture, the city is a soulful paradise sprinkled with a number of romantic hotspots. From lakes and gardens to cozy restaurants and age-old monuments, there are hordes of places to visit in Kolkata for couples. Interested in exploring the romantic side of the City of Joy? Stretching for about 2.5 km along the Hooghly River, Millennium Park is undoubtedly one of the top places in Kolkata for couples. Dotted with plants, trees, and lovely sculptures, the landscaped gardens and manicured lawns provide the perfect setting for a romantic date. The incredible views of the river and the iconic Howrah Bridge add to its allure while the amusement rides available here enhance its fun quotient. 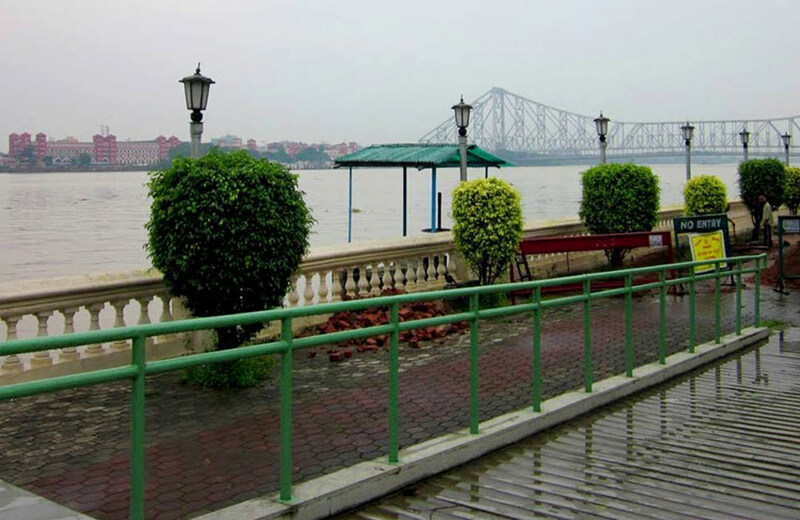 Witnessing the sunset with your partner and taking a stroll enjoying the cool evening breeze also count among the must-do things while you are at this couple-favorite park in Kolkata. 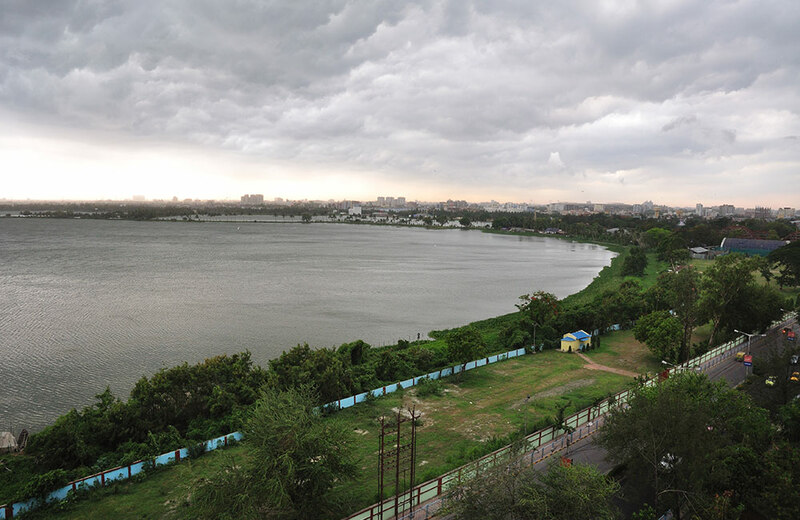 Rabindra Sarobar or Dhakuria Lake – call it what you may – remains among the favorite places for couples in Kolkata. And why not?! 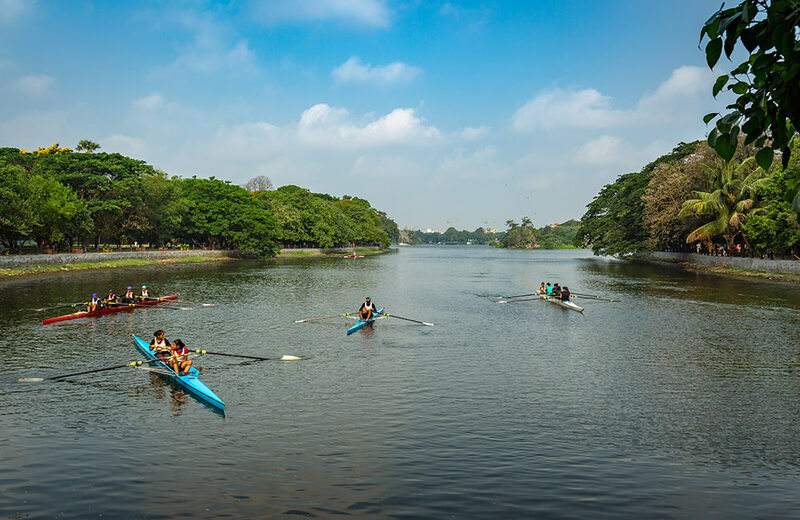 This artificial lake in south Kolkata offers you the perfect escapade from the congested city streets and its hustle and bustle. Enveloped in greenery and serenity, it creates the ideal background, where you can share those heartfelt emotions with your sweetheart. With the chirping of birds in the background and the soothing waterbody in the front, it’s easy to lose track of time when you are here. You can’t leave out Eco Park when talking about the best places to visit in Kolkata for couples. Covering a huge area of 480 acres, it stands as the biggest park in India. However, it’s not the size, rather the beauty and ambiance that draw lovebirds to this place. The park, surrounded by a 104-acre water body that has an island in the middle, offers refreshing views to visitors amidst the concrete landscape of the city. While here, you can indulge in a number of water #sports with your partner or simply enjoy the romantic views, the musical fountains, and the different theme areas of the park. 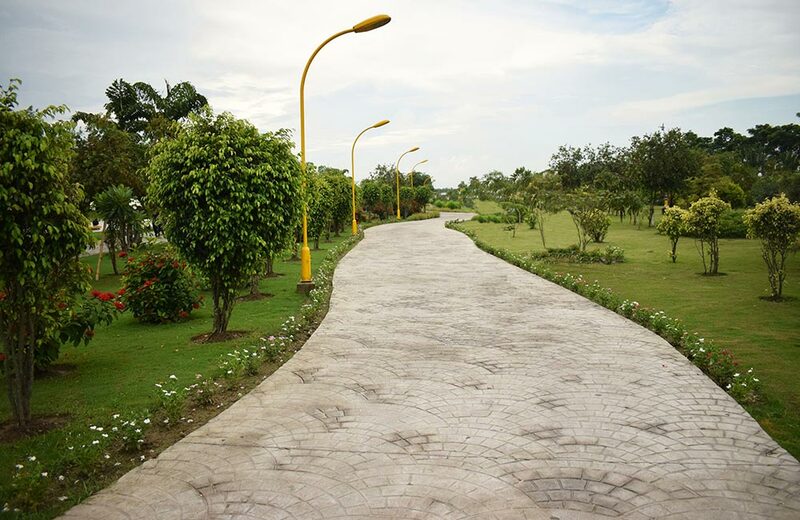 Either way, Eco Park gives you ample spots and activities to ignite your love life. 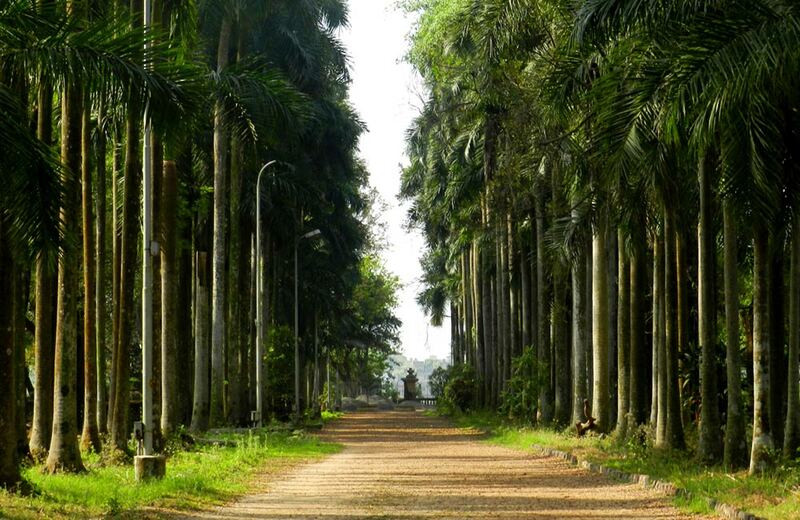 Unlike the other gardens and parks in Kolkata for couples, the Botanical Gardens (also known as Acharya Jagadish Chandra Bose Indian Botanic Garden) is an emerald green space that boasts more than 12000 varied species of plants. Spread across an area of 273 acres, this huge park with an extensive floral diversity is where you can spend many happy hours with your beloved, away from the crowded streets and with nature to keep you constant company. When you are here, do not miss out the Great Banyan, which is considered to be the largest tree in the world and is among the main attractions here. Imagine a lakeside spot surrounded by lush greenery and mesmerizing views. 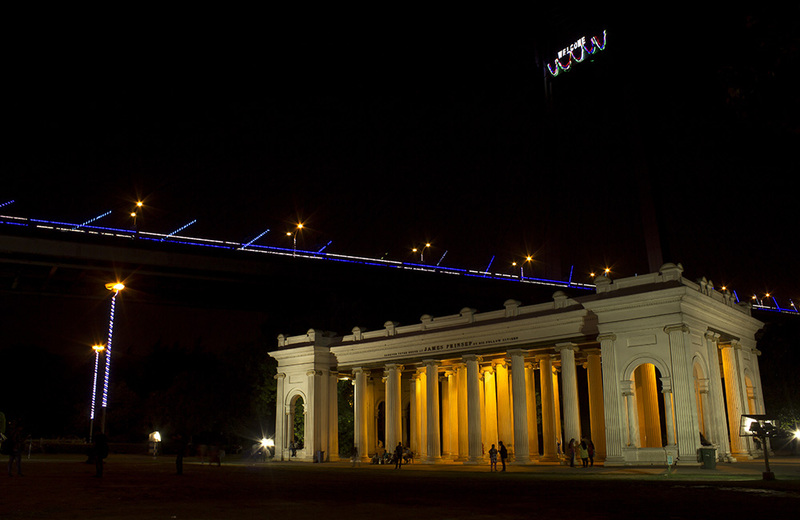 Won’t it make for a perfect romantic place in Kolkata? That’s precisely why Nalban is counted among the preferred places for couples in Kolkata to spend some romantic moments together. You can also enjoy a boat ride here in the company of your special one while looking at the beautiful surroundings. It is a great place for daylong picnics as well. Just pack in a picnic basket, throw in a pair of badminton rackets and a mat, and you are set for the day at Nalban! The heritage monuments of Kolkata are not just the keepers of history; they also serve as amazing dating spots for the lovebirds in the city. Check out some of the most romantic monuments in the City of Joy. It’s not without a reason that Prinsep Ghat (also spelled Princep) is considered top among the places to visit in Kolkata for couples. Located on the banks of river Hooghly, it is all that you can except in a dating spot and more. It offers you the beauty of a British-era monument, amazing views of the river and Vidyasagar Setu, and the ideal setting to share the love notes in your heart. In the evening, the whole place has a dreamy aura with the lights adding to its visual appeal. You can take a walk down the river banks hand-in-hand or go for a boat ride and create some lovely memories. 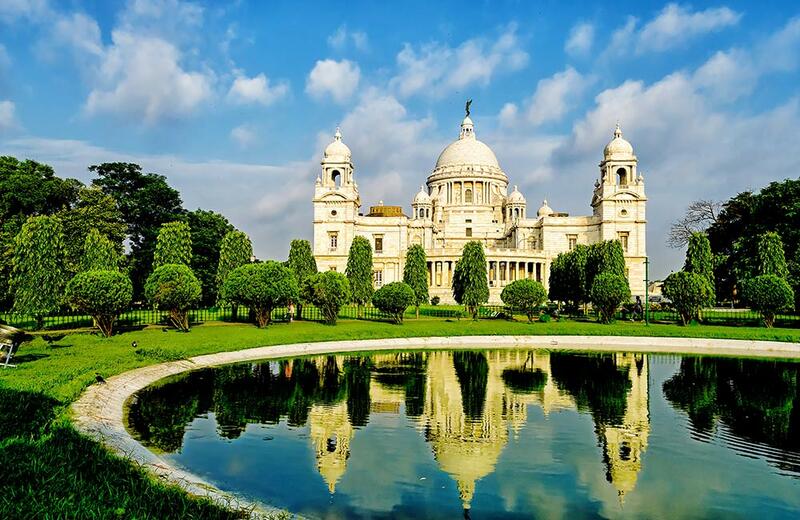 The iconic Victoria Memorial is not merely a prominent landmark of the city; it is also one of the best places for couples in Kolkata who want to celebrate their love in a unique way. This spell-binding structure, an ode to aesthetic beauty, is surrounded by spacious lush-green lawns that have remained witness to many love stories. Once you are done with exploring the museum located inside this majestic monument, you can sit down on the landscaped lawns and let the charm of the place play its game. Even while you are busy talking to each other, do not forget to capture a moment or two in the form of some Instagram-worthy photographs, with the gorgeous structure in the background. The 19th-century Marble Palace is a palatial mansion in north Kolkata that now serves as a favorite haunt for the city’s romancers. 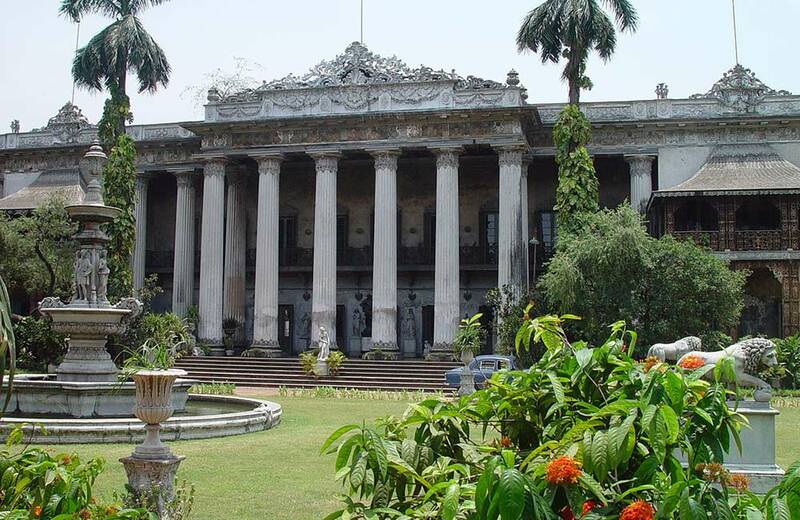 A splendid piece of architecture made mostly of marble, it stands as one of the most elegant edifices in Kolkata. The grand structure boasts of artistic statues, pieces of Victorian furniture, large chandeliers, antique clocks, lovely paintings, and a lot of other such artifacts, all of which lend the place a touch of artistic beauty and splendor. If you want to spend a day marveling at the masterpieces of famous artists, including Van Gogh and Reynolds, this is where you should be heading to. What can be more romantic than enjoying a candlelight dinner under the starry sky while literally floating on a river? Feeling excited, already? Head straight to the Bridge restaurant where you can surprise your sweetheart with a grand dinner in an even grander setting. That’s not all! You also enjoy an incredible night-time view of the city even as a cool breeze caresses your face and fans the flames of romance. As you enter Spice Kraft, a dimly-lit hall welcomes you, setting the mood for a great evening. 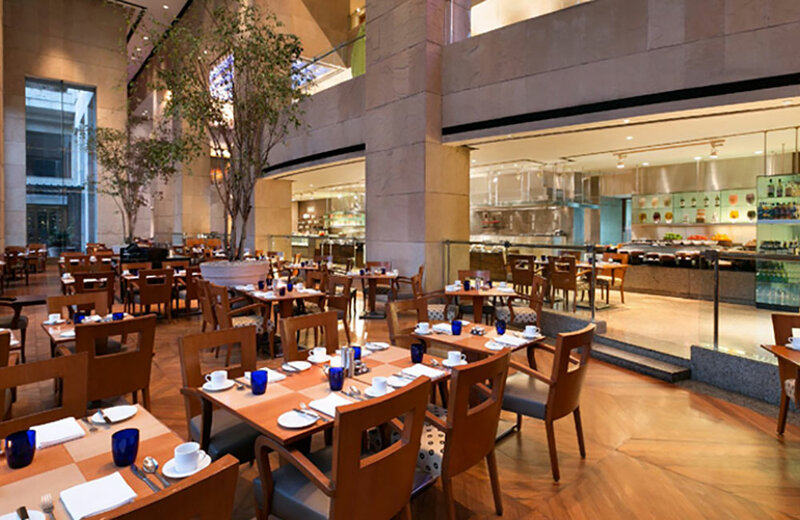 With soft background music creating a serene ambiance, dining here can be an experience in itself. Not just the exquisite decor, even the food served at Spice Kraft is awesome. No wonder this place is steadily becoming one of the preferred hangout places in Kolkata for couples. 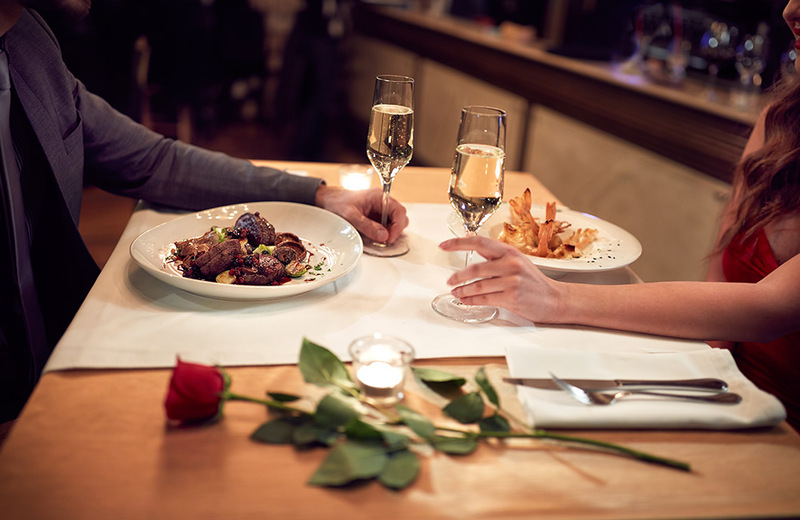 You can treat your partner to a whole range of mouth-watering dishes, selected from Middle Eastern, Continental, Lebanese, Indian and Oriental cuisines. And of course, there are cocktails to liven up your mood. As the name indicates, this dining destination is located right next to a pool. 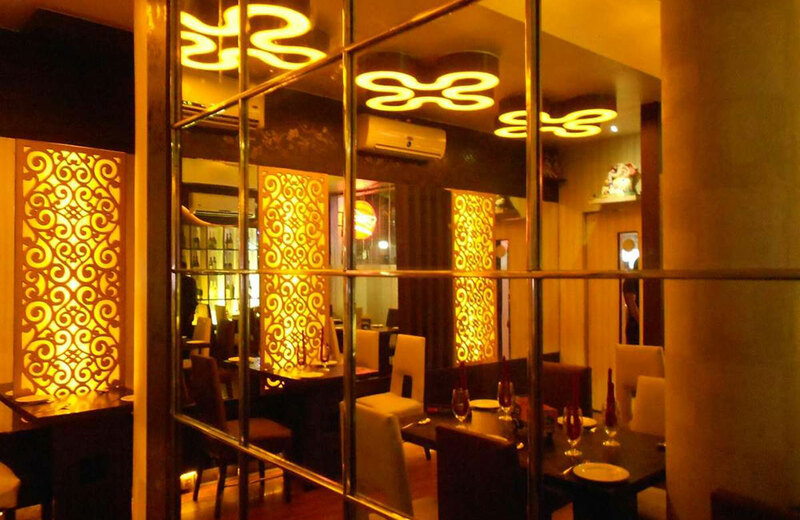 The lavish restaurant is a round-the-clock dining spot, where you can have a lovely time with your beau. You can get a glimpse of the lovely lawn and the pool through the glass walls even as you dig into the most amazing delicacies served here. Talking of delicacies, you can take your pick from Continental and North Indian cuisines along with a variety of salads. One of the most amazing private places for couples in Kolkata, Waterside Café serves an interesting range of cocktails as well. Longing for a fun-filled day with your beau in the City of Joy? Well, Kolkata won’t disappoint you on this count either. Check out the most visited fun spots of the city that witness a rush of lovebirds all year long. for a full day of fun and frolic. How about splashing around with your loved one on a hot summer day? 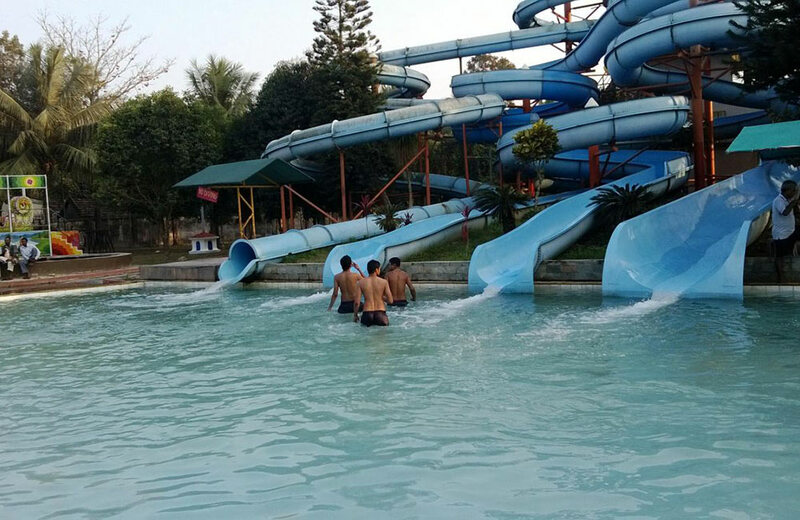 Aquatica Waterpark is one of the best destinations for couples looking to beat the scorching Kolkata heat. 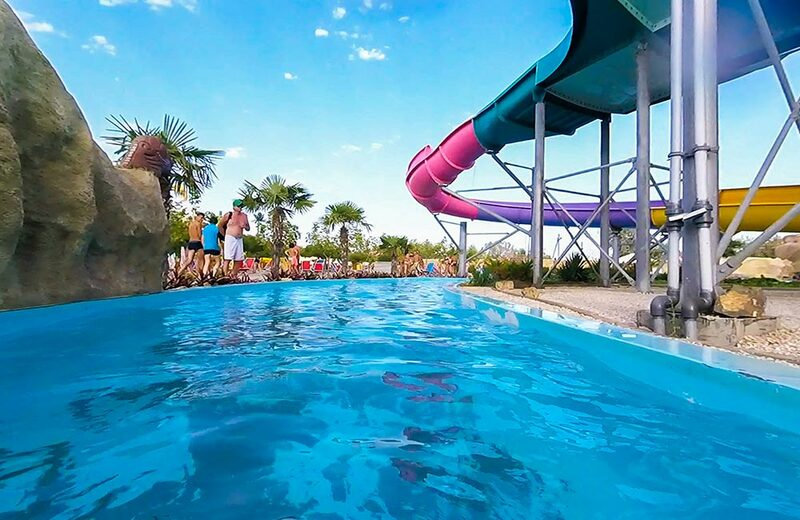 In addition to a variety of water rides, the park has an artificial river and the Aqua Dance Floor, both of which never fail to entice couples. You can have loads of fun splashing and whooshing in the water. The food court serves an array of tasty dishes to perk up your energy and get you going if you feel tired at any point in time. This isn’t all! The city has many other attractions for couples, and it’s nearly impossible to talk about them all in just one blog. Here is a plan. Why don’t you check in at one of the best budget hotels in Kolkata and start exploring the city? So, make the most of your time in the City of Joy with your partner and create a lot of joyful memories.